As more and more of the baby boomers transition from careers to retirement, many are retiring in Cabo, Mexico, to enjoy their Golden Years. The reasons are varied, but three factors typically cited include: climate, affordability and quality of life. Overall, when one truly looks to the reasons for retiring in Cabo, and Mexico in general, the bottom line is it just makes sense. In this blog, I discuss a variety of reasons to retire to Mexico with a focus on Cabo. For retirees living on fixed incomes, your pension goes farther in Mexico. Currently, the exchange rate between the U.S. dollar and Mexican peso hovers around 18 to 1. Admittedly, this ratio is subject to significant change and is tied to complicated calculations and the world economy, but the reality is, it feels like more money in your pocket. Additionally, one cannot overlook the simple fact that things don’t cost as much here in Mexico as they do in the U.S., Europe and Canada. Typical monthly expenses such as food, utilities, medicine and services are considerably less expensive. Eating out is even cheaper! A lovely dinner, including a bottle of wine and desert, can easily be had for less than $30. Try to find that in Denver, San Francisco or Seattle. Those considering retirement to Mexico and Cabo are ready to relax and allow others to take care of them. The cost of labor is very inexpensive and there are numerous service providers ready to assist you. Housekeepers, gardeners, pool maintenance, even chefs are available for a fraction of the cost you’ve come to expect. All of these things are dependent on one’s lifestyle, but my personal observation and experience is the cost of living in Cabo is about 30% less than California and about 20% less than the remainder of the U.S. For retirees, that can add up to tremendous savings. For those considering retiring in Cabo and Mexico, the weather throughout the country is best described as mild. Many colonial cities in the mountainous regions enjoy daily temperatures of 75 – 80 degrees all year long. Here in Cabo, there are typically 350 days of sunshine and the warm, dry climate of the desert has been scientifically proven to be beneficial to one’s health. The warmer, low humidity environment promotes an active, outdoor lifestyle resulting in more daily exercise. Exposure to sunlight stimulates vitamin D production and medical research confirms this increases energy levels, strengthens bones and muscles and can prevent cancer. All of these factors are a tremendous benefit to retirees and those approaching retirement. Colder weather dampens the spirit and causes most to stay inside and remain sedentary. The truth is, it’s hard to stay indoors when the weather is so great outside. And remember, there’s no snow shoveling in Cabo! 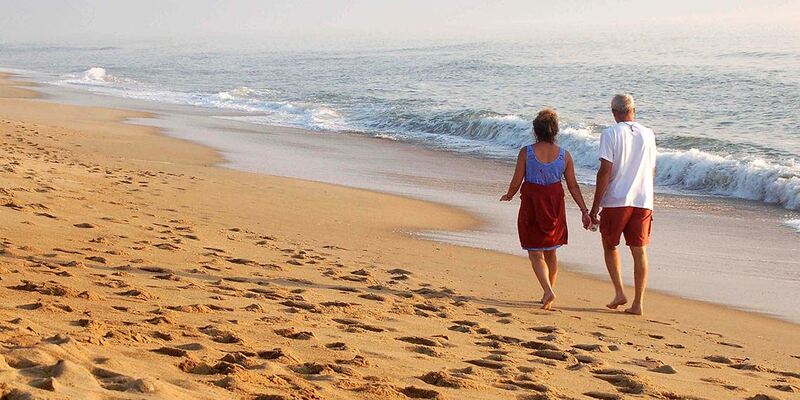 For those considering retirement in Mexico, medical care is one of the utmost concerns. The truth is, the medical care in Mexico is as good, if not better, than in the U.S. and at a fraction of the cost. The H+ Medical Group has recently opened a new hospital in San José del Cabo. This new facility provides highly trained physicians and qualified medical personnel with the latest, state-of-the-art medical technology providing patients with competent, knowledgeable and proficient medical care in Mexico. Retirees in Cabo benefit from numerous U.S. affiliated medical facilities and hospitals including, St. Luke’s, Amerimed and BlueNet. Doctors in Mexico will provide you with their cell phone number and still make house calls! What a wonderful benefit for those retiring in Cabo. Dentistry should not be overlooked. Cabo is home to many outstanding dentists offering complete care and treatment for retirees’ oral health. For a complete discussion, please see my separate article to learn more about medical care in Cabo. As stated previously, the beautiful weather in Cabo encourages one to engage in activities and there are plenty for all retirees. Cabo is surrounded by some of the best sport fishing, golf and underwater diving in the entire world. Two international marinas host a fleet of the finest charter captains to serve both the skilled and novice angler. Imagine wrestling a 1,200 lbs. marlin or 200 lbs. tuna – both in the same day! Golf enthusiasts may choose from 15 different courses designed by living legends Jack Nicklaus, Tom Fazio, Greg Norman and Tiger Woods. Most residential developments include a golf or beach club fostering a variety of activities, dinners and excursions. For example, Club Campestre in San José del Cabo offers its members daily activities of yoga, Pilates, water aerobics and Jumba. The Campestre Beach Club includes a bar and restaurant featuring monthly dinner specials and weekly happy hours socials around the beach fire pit. Volunteering is huge here in Cabo and throughout Mexico as retirees are compelled to give their time and money to many different worthy causes. Cabo has multiple humane shelters for abandoned animals with large staffs of volunteers to care for and find new homes for these adorable pets. LIGA MAC (Mexican, American & Canadian) volunteers maintain a local used bookstore and assist local low-income families in crisis. Cabo has its own Rotary Club, Masonic Lodge and Shrine Club ready to welcome new members looking to retire in Mexico. Are you thinking it might be time to retire? Have you thought about downsizing and starting a new life in Mexico? Do you want to wake up and enjoy the quality of life Cabo has to offer? If so, contact me and together let’s begin the discussion of making your retirement in Mexico the best years of your life.